Universal has hired "Iron Man" screenwriters Art Marcum and Matt Holloway to pen the screenplay based on Robert Ludlum's novel, published in 2001. 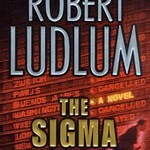 "The Sigma Protocol" revolves around a young investment banker who discovers a secret organization that has been manipulating the global economy. When the banker tries to expose the scheme, he's targeted for death.